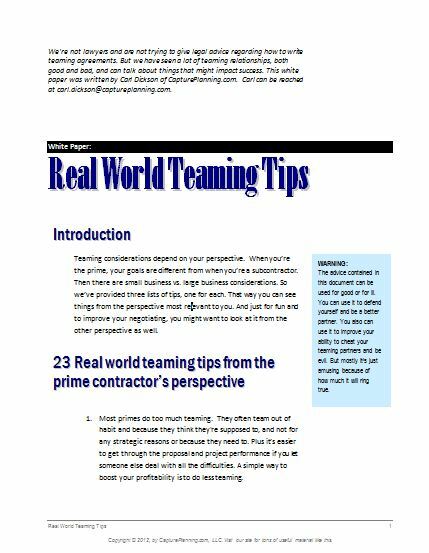 This is our 11 page white paper with 65 tips for successful teaming. We've covered the subject from the prime contractor's perspective and the sub contractor's perspective. We've even thrown in small vs. large business considerations. This is powerful stuff. We even had to put warning label on it.